Karen O has written an original song which will be featured in the end credits to Disney's highly anticipated movie, Frankenweenie, directed by Tim Burton. 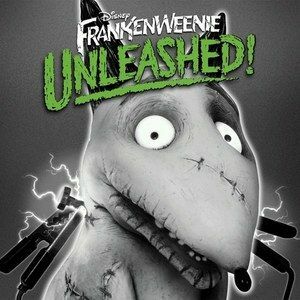 "Strange Love" is included on Frankenweenie Unleashed!, a 14-track compilation of music from and inspired by the film. Frankenweenie Unleashed! will be released on September 25, 2012. As singer/songwriter/composer and the lead singer for the rock band the Yeah Yeah Yeahs, Karen O has collaborated with artists in music and film over the past ten years, including Spike Jonze, Trent Reznor, David Lynch, The Flaming Lips, Barnaby Clay, Carter Burwell and many others. Karen composed the score for the acclaimed 2009 film Where the Wild Things Are (with Carter Burwell) and she co-wrote the song All is Love (with Nick Zinner) which was nominated for a Grammy Award and Golden Globe for Best Original Song for a Motion Picture. Most recently, Karen contributed vocals to the Trent Reznor produced cover of Led Zeppelin's "Immigrant Song" for David Fincher's feature The Girl with the Dragon Tattoo. Karen O told Rolling Stone, "Tim [Burton] wanted an unconventional unconditional love song. My music inspiration came out of the same era of B movie fright film references sprinkled throughout the film. I went in the direction of exotica and calypso stylistically because it's quirky, good vibes music of that era and when you throw in a theramin solo it's a marriage made in heaven. I remember Beetlejuice introducing me to the genius of Harry Belafonte's calypso record so I wanted to give a nod to that too. We ended up with a love song for the end of the film to the film! Frankenweenie is so special, it's an unbelievable honor to be involved with it." The Frankenweenie original motion picture soundtrack, with score by Oscar-nominated and Grammy-winning composer Danny Elfman will also be available on September 25, 2012. Elfman has established himself as one of Hollywood's leading film composers and has written close to 50 film scores featuring his unique sound including Dark Shadows, Alice in Wonderland, Charlie and the Chocolate Factory, Milk, Chicago, Batman, Spider-Man, Men In Black trilogy, Edward Scissorhands and Pee-Wee's Big Adventure. From creative genius Tim Burton (Alice in Wonderland, The Nightmare Before Christmas) comes Frankenweenie, a heartwarming tale about a boy and his dog. After unexpectedly losing his beloved dog Sparky, young Victor harnesses the power of science to bring his best friend back to life-with just a few minor adjustments. He tries to hide his home-sewn creation, but when Sparky gets out, Victor's fellow students, teachers and the entire town all learn that getting a new "leash on life" can be monstrous. In addition to Karen O's "Strange Love," the Frankenweenie Unleashed! collection features original songs and one cover inspired by the stop-motion film event. The diverse range of artists includes Neon Trees, Mark Foster, Plain White T's and Kimbra. The Frankenweenie Unleashed! track list was revealed this morning on the official Frankenweenie Facebook page at: Facebook.com/Frankenweenie. Frankenweenie Unleashed! and the Frankenweenie original motion picture soundtrack will be available September 25, 2012 wherever music is sold. The album is available for pre-order at Amazon.com. For more information on Walt Disney Records' releases, please visit Disney.com/music, become a fan at Facebook.com/disneymusic or follow us at Twitter.com/disneymusic. EXCLUSIVE: Frankenweenie Cast and Crew Interviews!